As leaders and managers, we are focused on closing out 2017 in the best way possible. There will be a natural desire to focus on all of the scheduled holiday events, our families at home and away, and recharging ourselves for a new year. If you have veterans in your organization, we need to leave the year with the team that we came in with. What do I mean by this? Historically, the holiday season is one of the most stressful times of the year for those who are serving or have served in uniform. This is the time of year when we as leaders and managers need to engage our veteran team members often and take an active role in reducing suicides. I encourage you to actively increase your engagement with your veterans and their families. Discussions not necessarily with leaders, but with peers, about thoughts of suicide or killing someone else. Troubles with their boyfriend, girlfriend, or spouse. All of these are important indicators, they’re certainly not all-inclusive, and financial problems can be a challenge that leaders and managers need to be sensitive to. Veterans want to continue to be able to provide for their families. If they can’t, their stress levels over the holidays can be higher than other times in the year. 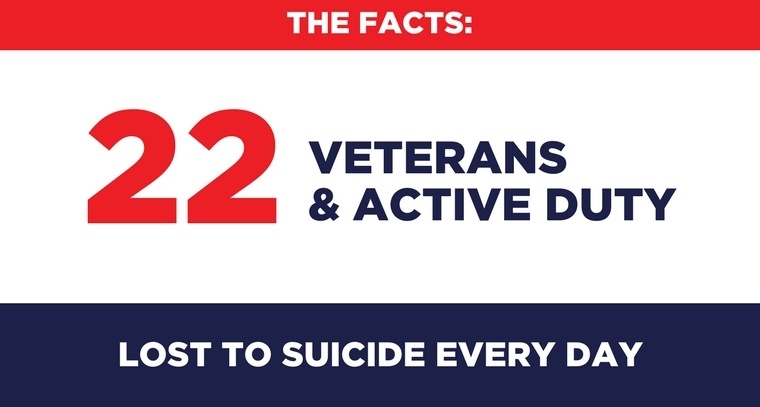 When a veteran presents any of these concerns, you start hearing about suicide. Suicide risk is highest when a person sees no way out and fears things may get worse. The predominant emotions are helplessness and hopelessness. Their thinking is constricted. Of course, any past history of post-traumatic stress disorder (PTSD) and traumatic brain injury (TBI) can add to these challenges. If you start picking up on any of these warning signs and risk factors, there are some things that leaders can do. If, as a leader or manager, you do not feel comfortable with your ability to communicate effectively with that person, one of the best things you can do is not tell them where to go, but take them somewhere. We find this practice with our chaplains and in the religious side of our lives, but not in the workplace. It is generally best for mental health professionals to assess and manage your team members who show the warning signs and risk factors of suicide. You may only have one chance to intervene, so the most important thing you can do is to take action. If it’s by phone, reestablish that helping relationship. Kind of get your foot in the door and show them you have a genuine concern for their well-being. Quickly express that you’re glad the individual called. Immediately get the telephone number that he or she is calling from. Find out where the individual is located. Get as much information as you can about the individual’s plan and avoid topics that may agitate the person. Sometimes we have to just listen and not give advice. There will be times when your veteran team member may be unwilling to go somewhere with you for help. When this occurs, you need to, or have another team member, monitor them to the point where you feel they’re no longer at risk. Sometimes it’s not a matter of they don’t want to go. It’s that they don’t want to go now. The most important piece of information to leaders and managers is where to find information or who to talk to if they encounter an individual who needs help. If the individual is a veteran, the VA is an organization that can help. There’s also a National Suicide Prevention Hotline, a Military Crisis Line, and a Stop Soldier Suicide site. Some of the things leader have to try to avoid doing are minimizing the problem. Don’t ask “Is that all?” Don’t under-react to the problem. Don’t create a stigma about seeking mental health treatment. One of the reasons veterans won’t seek help is that they’re worried about repercussions or the stigma later on. The silver bullet of leadership is caring, and that is the key ingredient that will allow you to start 2018 with the same team that you had in 2017. So, despite your desires to focus on all of the holiday events, your family at home, and recharging yourself for a new year, I encourage you to talk to your veterans regularly, keep them informed, be predictable, and remain sensitive to the warning signs and risk factors that I’ve shared. Of course, if you’re traveling and will be away from the workplace over the holidays, I encourage you to have a delegated plan that fosters a culture of suicide prevention in your absence. About the Author: Dan Dwyer is a retired Army officer and founder of Vet2BizLife, LLC, which is dedicated to the boots to business advancement of veteran entrepreneurs. Dan is an experienced leadership, training and organizational developer, military strategist, coach, speaker, writer, and podcaster. Every week on the Vet2BizLife Podcast, Dan interviews the most inspiring veteran entrepreneurs with the purpose of sharing their stories, experiences, successes and challenges to improve the personal and business lives of others. Dan is a graduate of both Indiana University and the University of Louisville. 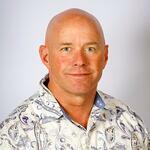 He is also a member of the International Association of Top Coaches, Trainers & Consultants (IATCTC). Dan can be contacted by phone: 719.330.3731, email: dan@vet2bizlife.com, or on social media: Facebook, LinkedIn, Instagram, or Twitter.